Archimedes Project is a not-for-profit organization that believes the most intractable problems in water and sanitation can be solved using market-driven approaches. Archimedes Project was launched in 2013 out of a frustration with the failures of the international development community to sustainably address access to clean water and sanitation in low-income households around the world. The organization is founded on the belief that the clean water and sanitation crisis that billions are currently experience requires using existing technology, partnerships and dedicated entrepreneurs, not simply more application of the same tired ideas in global development. Since the design and launch of our first enterprise, Kouzin Dlo, the Archimedes Project team has focused on developing and refining each step necessary for the enterprise development process. The Frontier Fellowship and Ideation Lab Programs allowed us to develop a clear understanding of what it took to empower aspiring entrepreneur to understand a particular market and to bring people together to design an enterprise to address the identified issues. Our next step as an organization is to launch an innovative new model as a startup studio that works with entrepreneurs as a co-founder to generate multiple ventures simultaneously. Kouzin Dlo founder Jessica Laporte in Haiti. 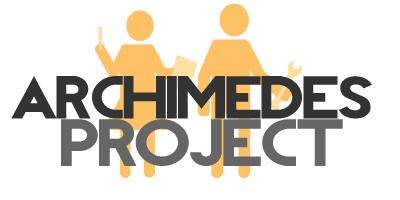 The venture research, design and development process is funded by Archimedes Project donors. To date, we have been 100% privately funded. Once an enterprise is launched, outside funding is sought to support the venture. Archimedes Project works with entrepreneurs to build for-profit social enterprises that leverage existing technologies to increase clean drinking water and sanitation access for bottom-of-the-pyramid households. In four years, we have worked in eight countries. Completed four research projects, four ideation projects and developed and launched one enterprise. Through this we have worked with hundreds of partners. In four years, we have worked in eight countries. Here are a few examples. Iynna with potential customers in Douala, Cameroon. Iynna Halilou spent her fellowship in Douala, Cameroon focused on the severe lack of public sanitation infrastructure in the center of the thriving city and conducting initial market research for a public toilet enterprise. Fitse Gelaye investigated the sanitation landscape in Addis Ababa and found major challenges to sanitation access despite a growing interest in market-based solutions and a government commitment to universal sanitation access. Kouzin Dlo co-Founder Jessica Laporte leading the first community training. Jessica Laporte and the launch team landed in Port au Prince on June 14, 2014 to begin testing the Kouzin Dlo business model on the ground. Discover where we have worked and what we have done.